SPARTANBURG, SC. 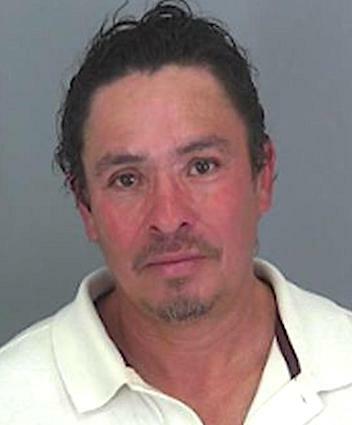 (THECOUNT) — Efren Mencia-Ramirez was identified by authorities in South Carolina as the man arrested after police say, he sprayed Axe body spray in his mouth to cover the smell of alcohol during a traffic stop. Spartanburg County sheriff’s deputies were conducting a traffic stop Saturday night on I-85 after a vehicle sped past them and swerved into opposing lanes. TRENDING: Cardi B Fans Shocked After Artist Admits 'Drugged & Robbed Men' While Working As "Dancer"
After pulling over, deputies say they observed Mencia-Ramirez spraying an unknown substance into his mouth. Upon approach of the vehicle, officers noticed a can of AXE brand body spray with in reach of the suspect. Mencia-Ramirez, 49, was found to be in possession of a 12-pack of beer located on the floorboard and another 10 empties strewn about the vehicle. He also had an open beer while seated in his vehicle placed between his legs. According to police, Mencia-Ramirez exhibited extreme signs of intoxication and subsequently failed field sobriety tests, however freshed mouthed. Mencia-Ramirez is facing charges of driving under the influence, reports KPTV. Online records showed Mencia-Ramirez was in custody. It wasn’t immediately clear whether he had an attorney. 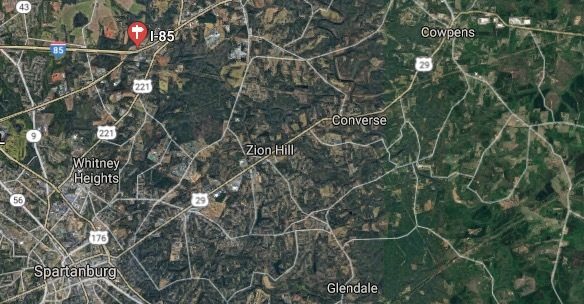 Geo quick facts: Spartanburg is a city in northern South Carolina. Hatcher Garden features ponds, woodland paths and butterflies. Cleveland Park has a lakeside amphitheater. To the south, Croft State Park includes a fish-filled lake. Downtown’s cultural district is home to galleries, performance venues and the Spartanburg Art Museum. Spartanburg Regional History Museum explores local history through artifacts and textiles – wikipedia. Cardi B Fans Shocked After Artist Admits 'Drugged & Robbed Men' While Working As "Dancer"